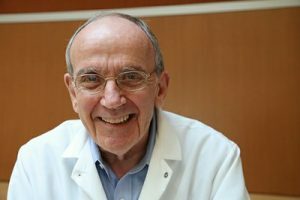 Charles Carter, PhD, professor in the department of biochemistry and biophysics, has been working to unravel some of the biggest mysteries of molecular evolution — that is, how exactly did life on Earth as we know it rise from the primordial, chemical-laden soup four billion years ago. In particular, he investigates how information flows from genes to proteins found in living organisms via genetic coding. Much of this incredibly intricate experimental and theoretical work centers on the structural origins of genetics and — to be simple about it — how chemistry created biology. 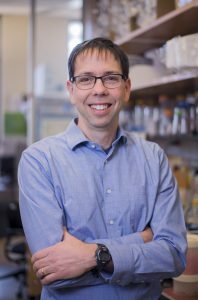 His work was featured recently on the SCIPOD podcast, as was the research of Brian Kuhlman, PhD, professor of biochemistry and biophysics and Oliver Smithies Investigator. 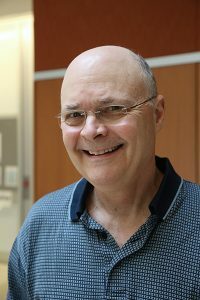 You can read more about Carter’s research here and here and here, this last one in conjunction with his colleague Richard Wolfenden, PhD, Alumni Distinguished Professor of Biochemistry and Biophysics.